It is estimated by that by the year 2025, 10% of the global economy would be built on the blockchain technology. Since cryptocurrencies are the number one application of this technology then it is safe to assume that they will be a significant part of our future. Research and development in cryptocurrency, therefore, needs all the knowledge, talent and skill it can gather. Everybody needs to get involved, men and women alike. Currently, this is not the case, there is a great gender disparity in the cryptocurrency world. It is a frontier world of finance that is dominated by white men. But why is this so? Why are there very few women and under-representation of minority groups in the cryptocurrency world? There is a great gender gap in the tech and financial industries which automatically translates into cryptocurrency (a fusion of both). Men, of course, are on the upside of the gap as women lag farther behind. As so clearly depicted by the Mayor of London last week in the video that was released highlighting the inequality of the gender pay gaps and women’s frustrations. Careers in tech and finance are traditionally viewed as male-oriented. From a very early age, boys are socialized to mind machines and money as girls are taught to care for people, animals and the environment. So as they grow up, women often feel unwelcomed in technical places sometimes even suppressing all interests and passions that they may have in computer and technology. How can this perception be done away with? The only answer is re-education and at the foundational level of education. The development of talent, knowledge and skills in tech and finance in girls should be encouraged through education and mentorship. More girls should be motivated to take up subjects in the fields of STEM (Science, Technology, Engineering and Mathematics). In turn, they can use their success in these fields to mentor and inspire more girls to pursue careers in tech and finance. Although The Bitcoinference is a conference on the blockchain technology and cryptocurrency, it is also an important opportunity to address disparity and the need for diversity in the crypto world. 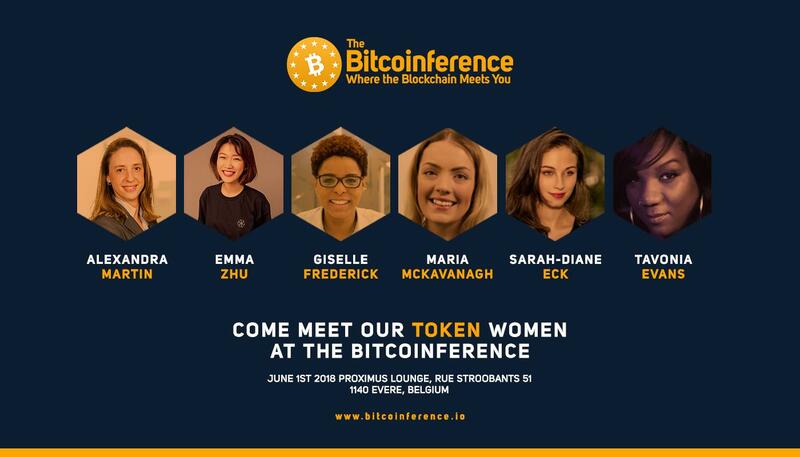 The Bitcoinference aims to create a platform for women and minorities to be heard and for them to be included in the opportunities to take part in driving the innovation in this emerging technology. The cryptocurrency space cannot evolve and grow without the inclusion of all members of society, not just the 1%. Currently, 90% of all cryptocurrency users are male. Imagine how big the industry could grow if more women become active subscribers? As the world changes, we wish to provide a platform through the Bitcoinference to create equality for all and be a part of a much fairer way and help to provide a part of the #solution rather than further contribute to the #problem out there.